Conservation and development organisations welcome PCE call for a new climate law. 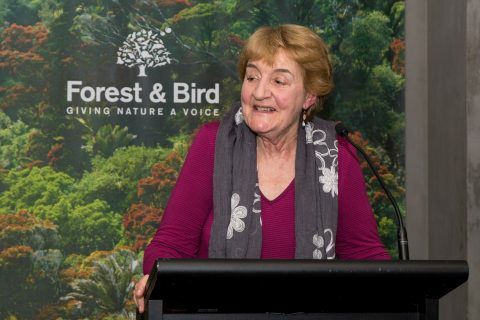 Dr Jan Wright at the Forest & Bird Sanderson Memorial Dinner, 2017. WWF-New Zealand, Forest & Bird, and Oxfam New Zealand welcome the Parliamentary Commissioner for the Environment’s (PCE) report, ‘Stepping Stones to Paris and Beyond’, released today. The PCE report identifies an historic opportunity for the next New Zealand Parliament to enshrine climate change targets into law and create a high-powered, non-partisan, expert climate commission. 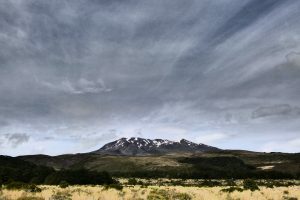 “Creating greater transparency and predictability on climate change policy would benefit all of us,” said WWF-New Zealand campaigner David Tong. 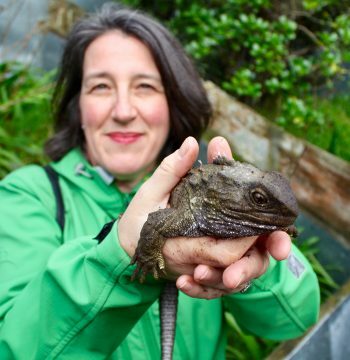 “Climate change is bigger than politics – it matters to New Zealanders from all walks of life. “It’s about time we rose above party politics and got on with the job of unlocking the pathway to New Zealand’s clean energy future and cutting our greenhouse gas emissions. Implementing the Commissioner’s recommendations would be a big step in the right direction. “A clean energy future for New Zealand is 100% possible. As the Vivid Economics report released in March by the cross-party working group GlobeNZ shows, it’s 100% possible to get New Zealand’s net emissions to zero by 2050. But we need a plan to get there that goes beyond three-year election cycles, and some transparency about implementing it. Mr Tong said: “The PCE report is a resounding endorsement for a new climate law along the lines of Generation Zero’s Zero Carbon Act, which WWF-New Zealand and our partners have called for”. The PCE’s call for regular climate change-risk assessments must include the risk to nature, said Forest & Bird climate advocate Adelia Hallett. “Our native species are already in trouble. There are 3000 native species already heading towards extinction and 800 of those are in serious trouble,” Ms Hallett said. 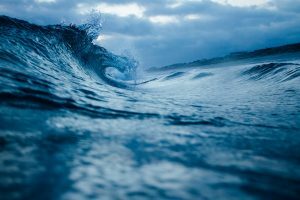 The PCE’s support for a new climate law is a significant step forward, said Oxfam New Zealand advocacy and campaigns director Paula Feehan. “Climate change is happening now and it’s affecting us all – our Pacific neighbours, people living in poverty, our communities and our businesses here in New Zealand,” Ms Feehan said.